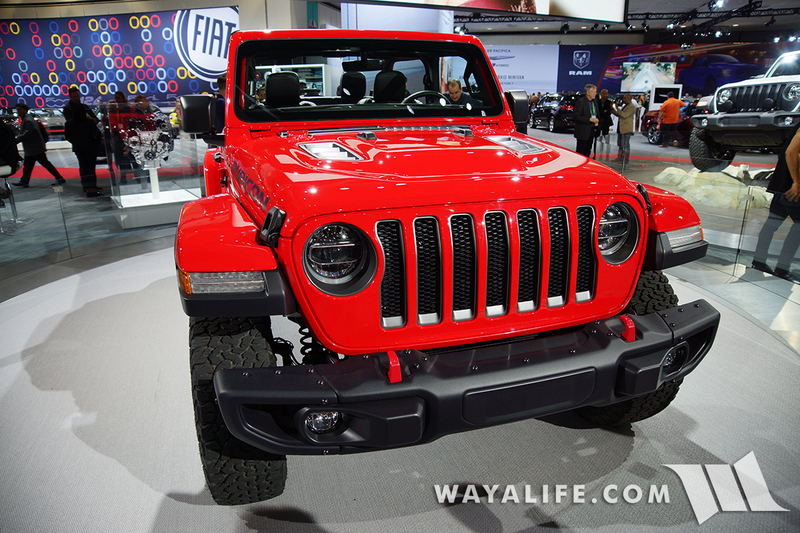 While I really do love the looks of a built up 2-door Jeep JK Wrangler, I’ve always thought they looked a bit funny bone stock. I don’t know if it’s because of the massive fenders or how the tires look too tucked in under them or maybe their plain jane the body panels but they’ve just never done anything for me. 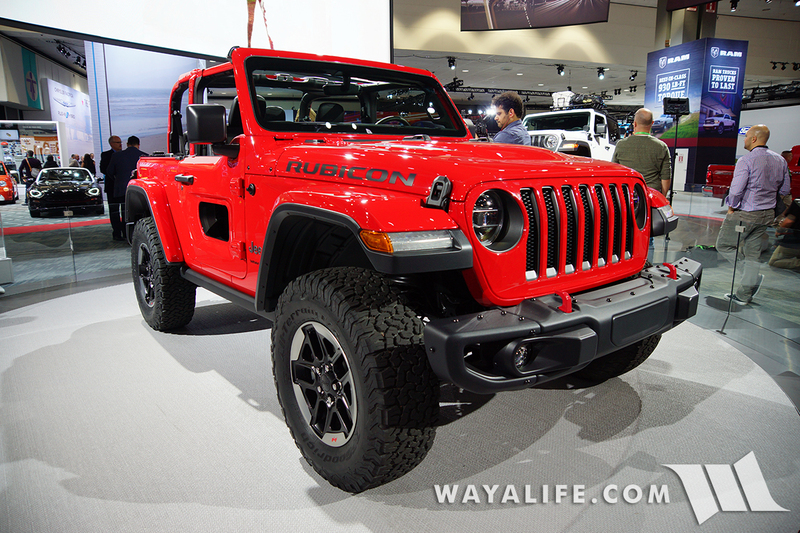 That being said, the first time I laid eyes on this red 2-door JL Wrangler Rubicon, I have to say that I fell in LOVE with it! 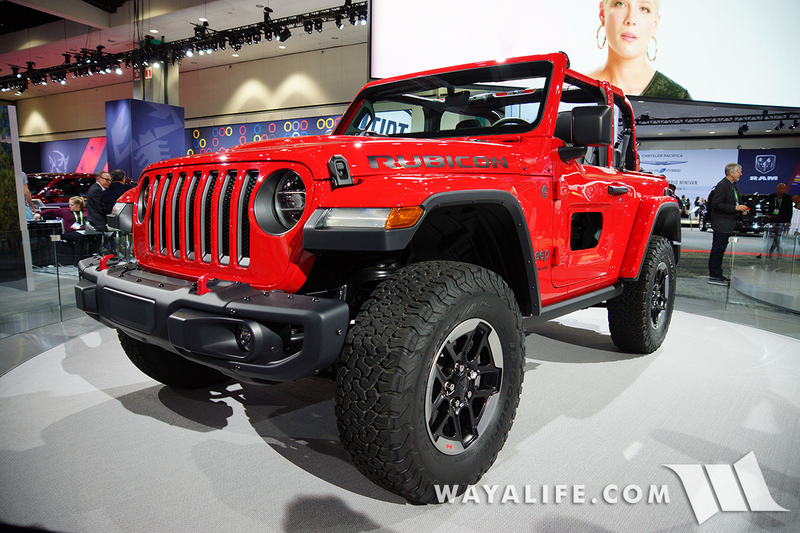 Even though it is bone stock, this JL has really nice proportions and lines and if you ask me, it “looks” modded already. Check it out! 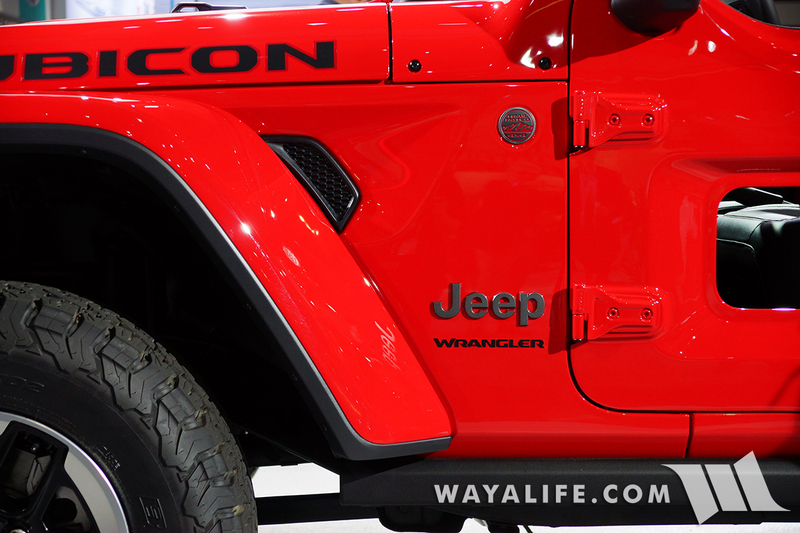 As you can see, unlike Sahara’s and Sports, the Rubicon’s come with a more defined hood with aggressive embossing and vents. 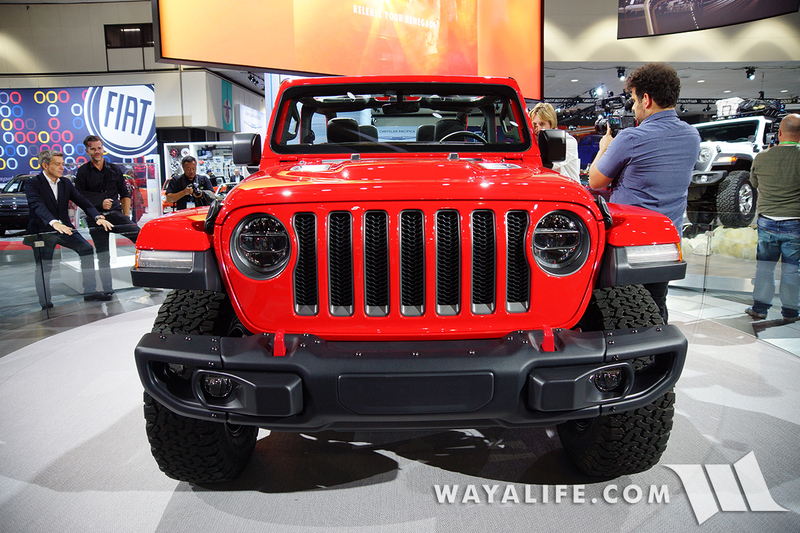 The front bumper on this JL Wrangler Rubicon looks very similar to what you’d find on a JK today. 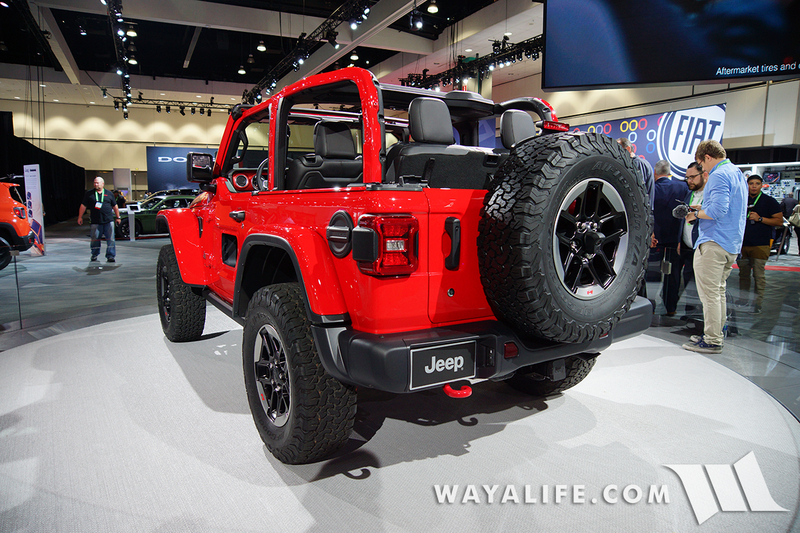 While the tires on a Rubicon will now be BFG KO2 All Terrains, they will be 33″ tall. 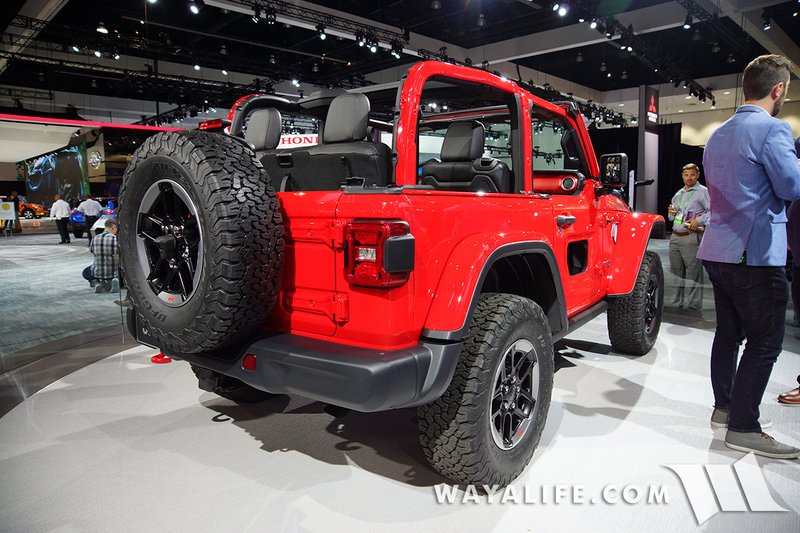 This side view of the JL Wrangler Rubicon shows how the fenders sit higher than a Sport or Sahara. 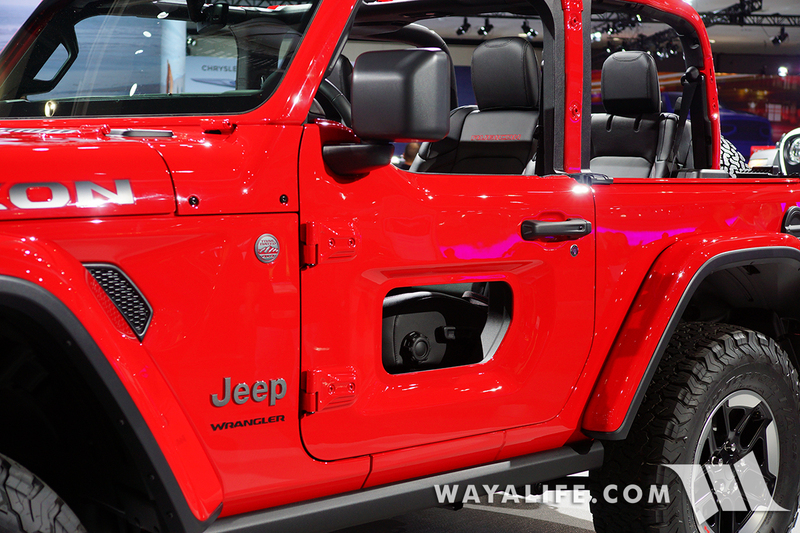 One cool feature on this JL Wrangler Rubicon is it’s half doors that have a viewing port or window cut out of it. There is no glass here but it does come with a plug to seal it off. Close up shot of the engine vent. 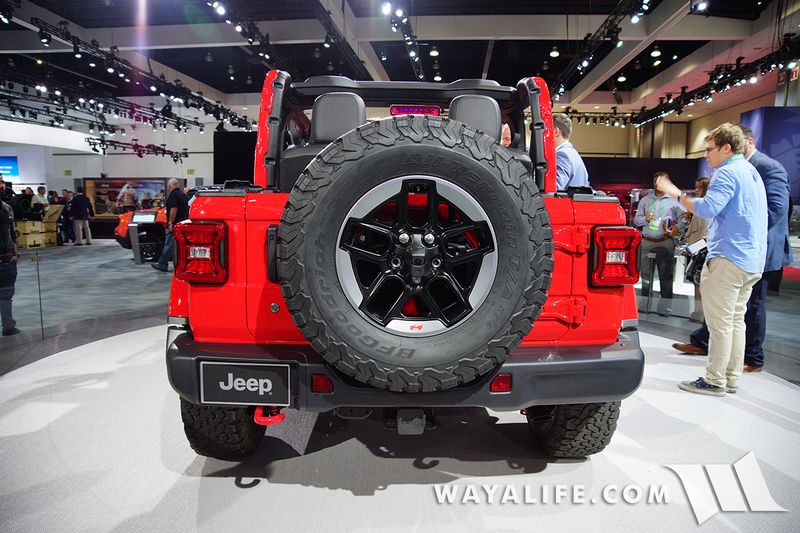 In this rear view, you can see how the license plate has been removed from the quarter panel and integrated into the bumper. 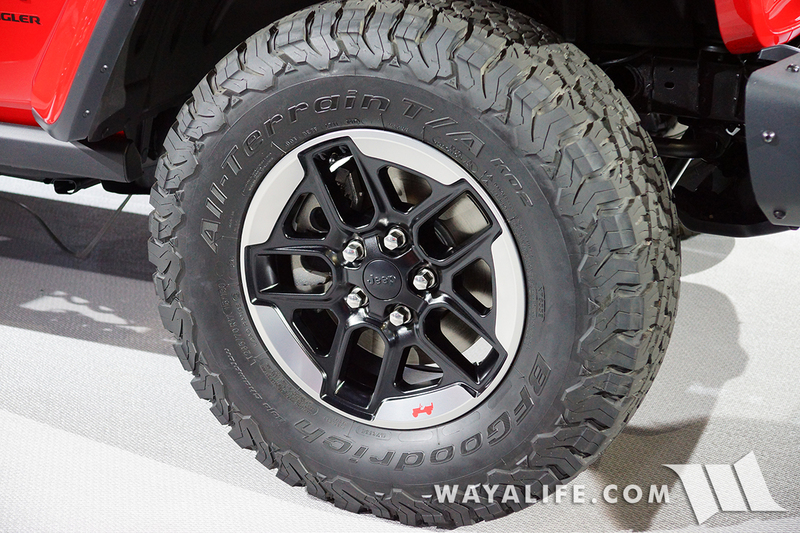 Here what the Rubicon wheels with silver trim look like up close. 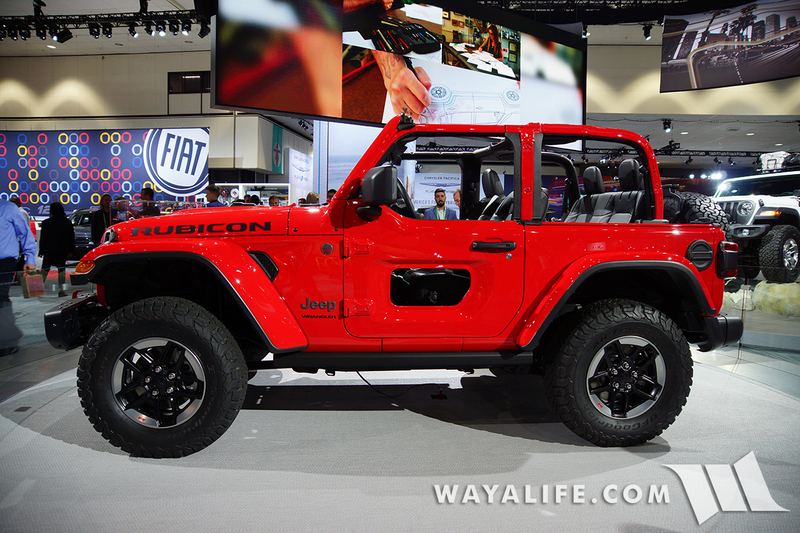 Be the first to comment on "2017 LA AUTO SHOW – Jeep JL Wrangler Red Rubicon 2-Door"